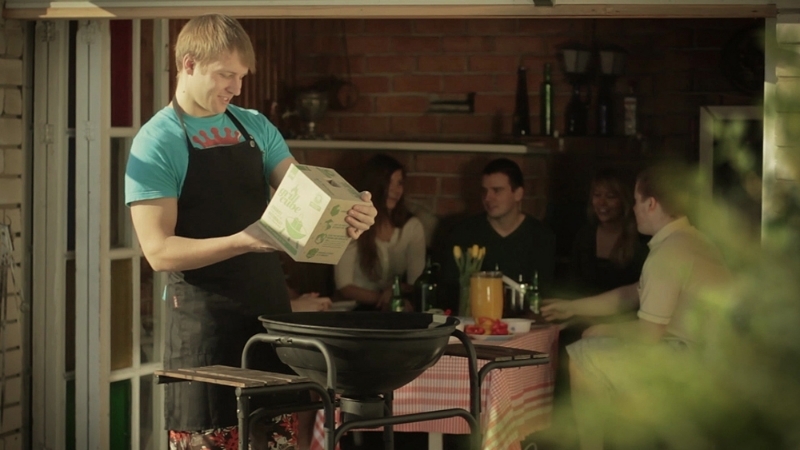 Getting the most delicious natural charcoal grilled food used to be a challenging task. 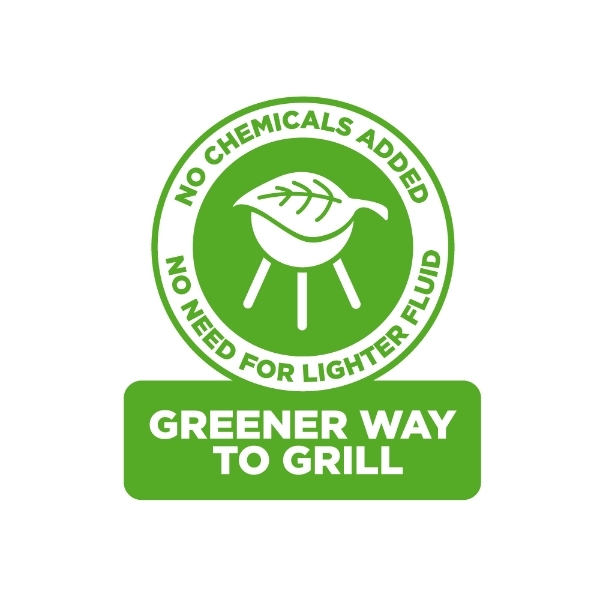 If you have ever spent your time figuring out how to grill without chemicals, then you know it can be time consuming, exhausting or needs inconvenient (and often expensive) additional products. 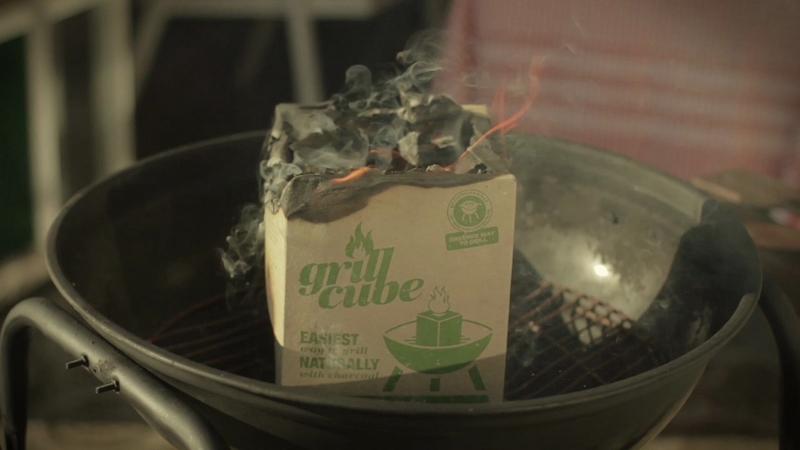 With Grillcube, it’s a breeze. 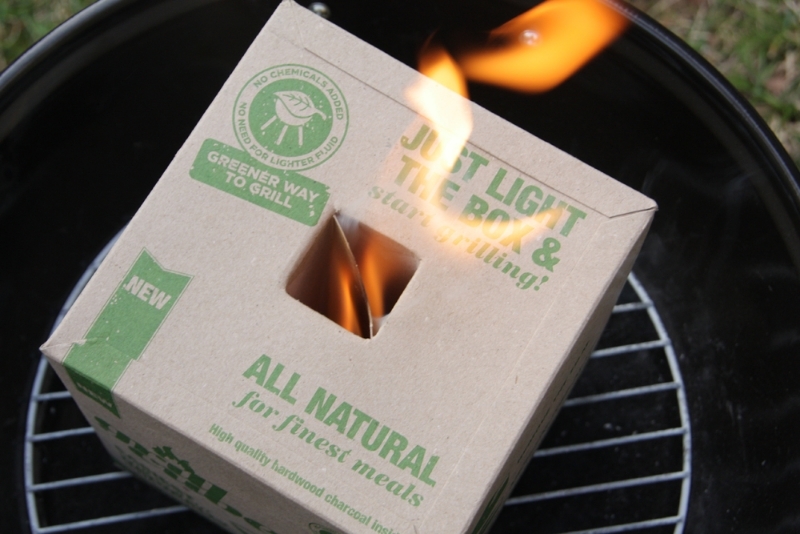 Just light the box and you are ready to grill in 10-15 minutes. 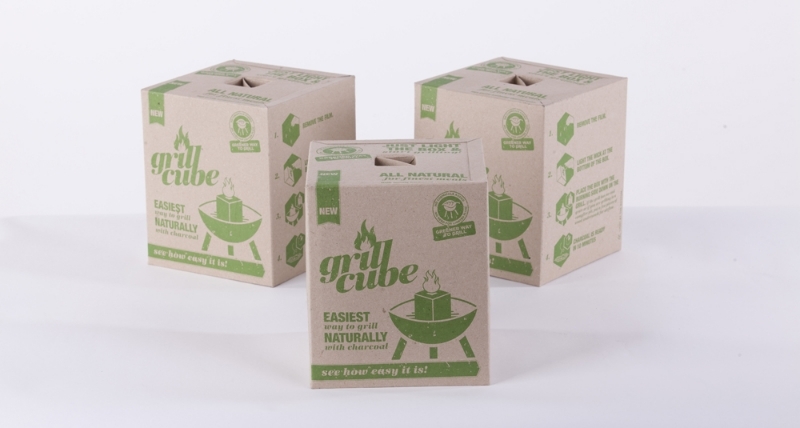 Grillcube lights up thanks to its specially designed patent pending cardboard box with a air flue and cardboard wick. It just takes one match to light the wick and the heat in the flue lights the charcoal. 2. Put Grillcube, burning side down, on the grill. 3. Charcoal is ready in 10-15 minutes. 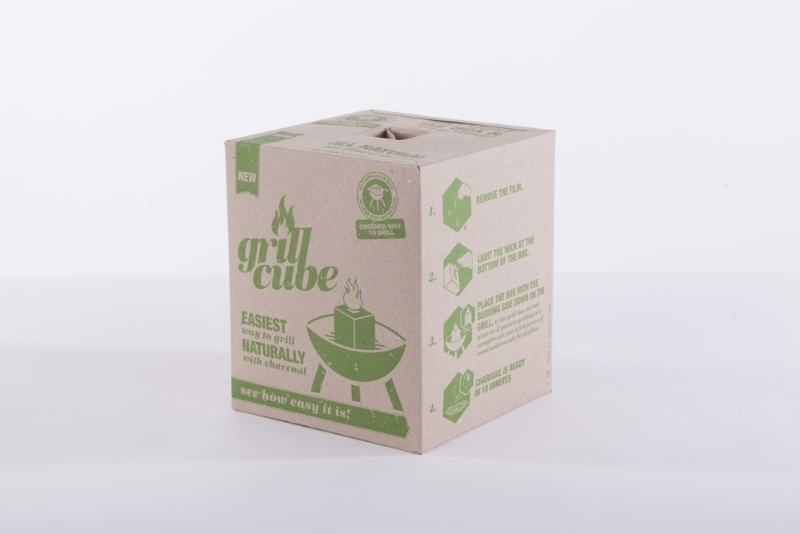 Where can I use Grillcube? 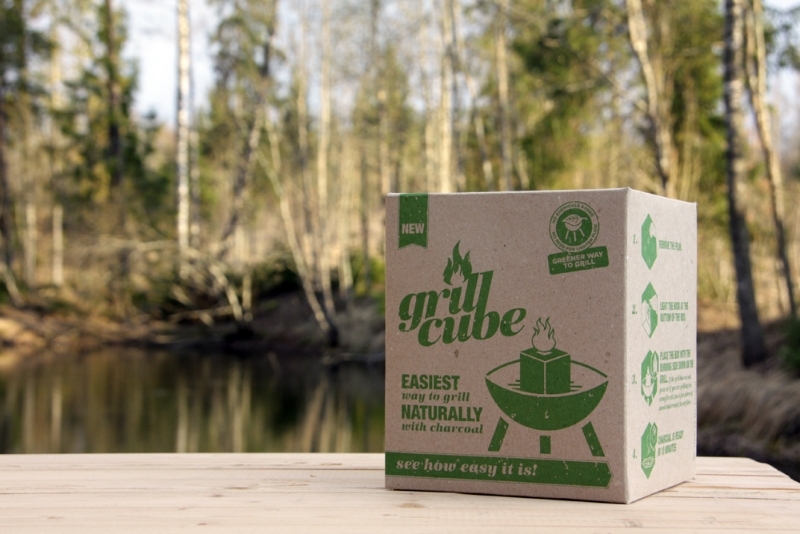 Grillcube is most convenient to use on a grill with a cooking grid. 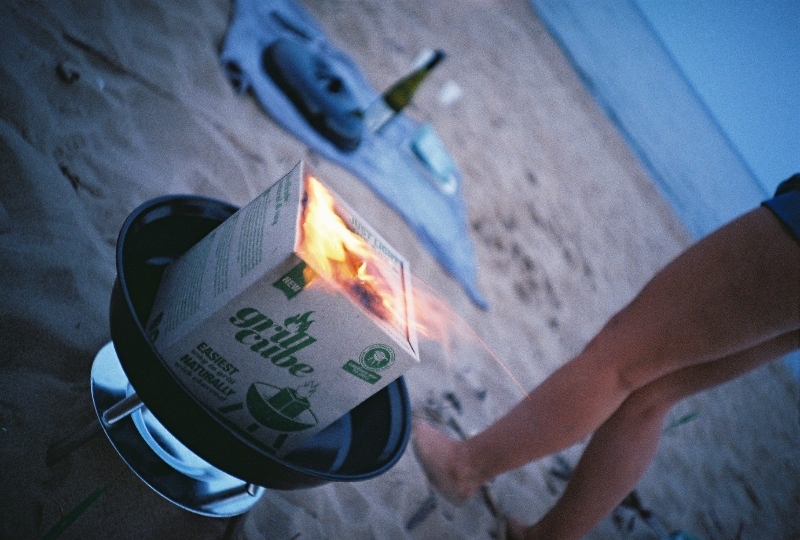 But you can also grill on a campfire pit. Just put a few pieces of wood underneath for airflow and the Cube will work just as well as it does on a grill. When can I be sure charcoal is ready to be grilled on? The charcoal is ready when the cardboard has burnt away and the charcoal is covered with a thin layer of ash. You can also test charcoal temperature with your hand. The charcoal is just right if you are able to hold your hand over the charcoal for about 3 seconds. 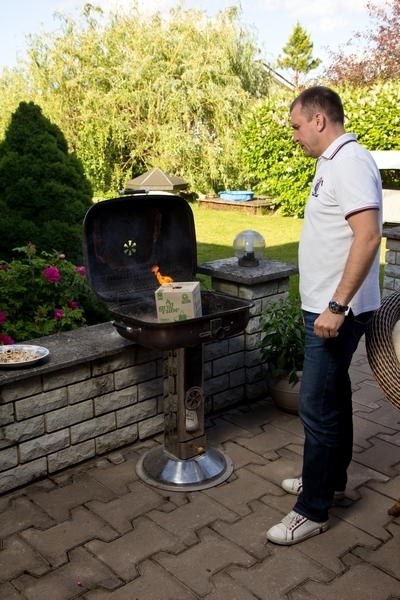 For how many people can I grill with one Grillcube? 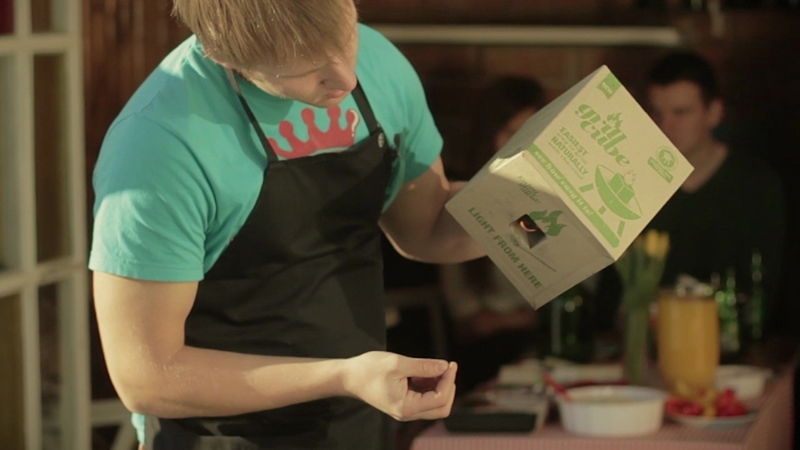 The box contains enough charcoal to cook a decent meal for 4–6 people and it provides heat for around 45 minutes. 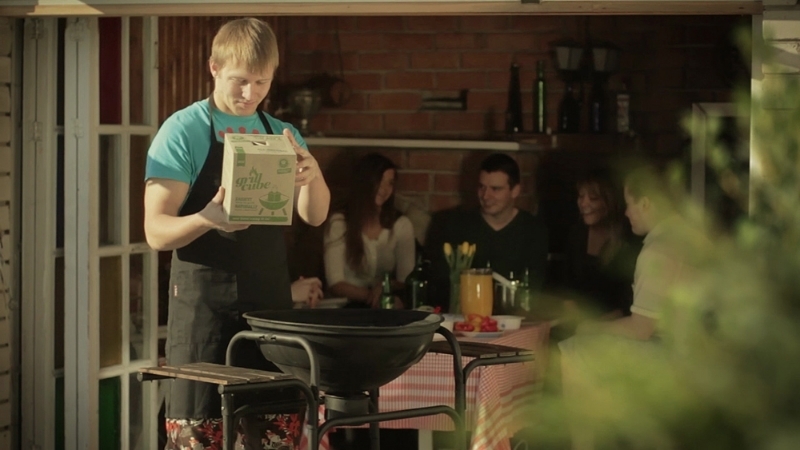 Talented film director Andzei Matsukevits made a beautiful road movie featuring Grillcube.